Well, to follow up on my last blog, as you can see we have saved this domain name. Actually, my beautiful and talented daughter, Libby, saved it. Not to say she doesn’t have IT smarts, but she also displayed a real intuitive gift in coming up with the unknown administrative account name. So presumably the Dear Michaela domain will be safe forevermore. I apologize that I have not been here to write for awhile. I am overwhelmed by life. I believe that I have posted here that I have been diagnosed with breast cancer. My mother had breast cancer and she made it look like a walk in the park — lumpectomy, a few weeks radiation, all gone. So I didn’t take this seriously at first, at all.The first time I saw my surgeon she guessed me at Stage I, and thought we could go the same route my mother did. But I have lobular carcinoma, which is a kind of a stealth cancer. It grows in rows, which grow into sheets, rather than lumps, so it is harder to detect either by touch, or mammogram, or ultrasound. 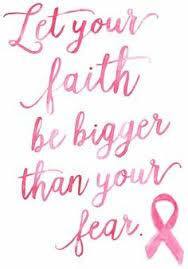 So I had an MRI, which discovered that the cancer had spread within my breast quite a bit more than they thought, and I was upgraded to Stage II and scheduled for a mastectomy. I then had to have a PET scan to see if the cancer had spread elsewhere in my body. If they found any other cancer, it would be Stage IV, which they say is incurable. Why that is I don’t know. I mean, if they can kill the cancer in the breast, why can’t they kill it if it shows up somewhere else? I am sure there are things I don’t understand here, and thankfully I was spared having to figure them out, as the PET scan turned out to be clear. I am right now waiting to start chemotherapy. It has been delayed and delayed for various reasons, mostly the lengthy recovery from the mastectomy. But I think I will get the all clear on my next visit and will probably be starting it within the next week. It is a 20 week course, eight weeks of two chemo drugs, followed by 12 weeks of another. I will lose my hair, that I have been told. After being afraid to get a pixie haircut all my life, I finally did, and I actually really love it. The bald look, as practiced with scarves and hats, doesn’t really suit me. But I just hope that is the worst I experience in chemo. I have to be honest, I am a little afraid. I am honestly most afraid of the suppression of the immune system. I live in a busy household, which includes two busy and social 20-somethings, a toddler, and four small dogs. My house is a germ festival. While I was waiting to start chemo, a late season cold that was making the rounds hit our house. I fought it off for a long time, ten days, but ended up getting it. The version I got was far lighter than what hit my daughter and her family. Under normal circumstances, my immune system is pretty good! I hope I can carry at least a bit of that into chemo with me, although the whole purpose of chemo is to kill kill kill, and that includes the good with the bad. Antioxidants during chemo are a no no. Why? Because their purpose is to help shield the cells from damage, and when you are on chemo, the whole purpose is to damage the cancer cells. Prognosis? I haven’t asked. I am assuming I will beat the cancer, in this round at least. Then I will somehow have to pick up the pieces of my life and put them back together again. I’m worried about being able to earn enough money to help support my family. I have spent most of my life caring for my family rather than earning money to help support them, stay at home mom. I remember when Michaela and I watched the movie Baby Boom, in which Diana Keaton is a high powered executive who inherits a baby and ends up quitting her job and moving to the country to be a full-time mom, Michaela cried and said, “When I grow up, I want to be just like you mom.” (Oh, Michaela. There are so many places for my heart to go here.) I keep thinking if I had my life to live over again, maybe I’d do it differently. But I probably wouldn’t. Even in my current life, over and over again it is family, it is the people, the children and the love and care and nurturing, that wins in my heart. In the early days after my diagnosis a lot of people flocked to give me advice. At that point they all seem to have been diagnosed at Stage I breast cancer. I have since moved where they can’t advise me. Recently I have come into contact with a few people with Stage IV, metastatic breast cancer. They have moved beyond me, and sometimes I can feel the fear. I think sometimes about dying. I don’t think I am afraid of it. In fact, I kind of feel as though it will be an adventure. Of course, I’m not facing it. I might feel differently if I was. But again, it is leaving my family that bothers me, rather than where I’m going. Who will be there for my children when they are hurting or lonely? And there are other things, of course. I have already experienced what it is like to be a burden on my family, just in the things I could not do myself after the mastectomy and the long, drawn-out recovery, and in the restrictions placed on their lives by my chemo, because they need to avoid getting sick also. I cannot imagine the burden of an actual terminal illness. This has entered into my dreams lately, just the idea that there is a threat, someone or something who is stalking me, meaning me harm. I am hiding, layer upon layer, from this threat. I dream all the time about journeys. Perhaps the most telling dream I have had was of needing to travel home, and the road was submerged under several feet of water. I looked out at a vast plain I had to cross, with hills on the other side. I had a boat (or a car that would float), that wasn’t the problem. The problem was that without being able to see the road, I did not know where to go. How could I end up in the right place in those hills, where I could pick up the road again? I could feel myself in the middle of that vast body of water, lost. But I never actually set out across the water. The dream shifted, changed. Probably I was saved by a trip to the bathroom. As for Michaela’s case, I guess you know that has shifted and changed as well. Our detective who was like part of our family has retired. I understand the new detective is one of the best detectives we could ask for. But he is not part of the family. He doesn’t call and say, let’s meet for lunch and talk, which is okay, really. He doesn’t tell me anything. I kind of suspect that is because there is nothing to tell. I have heard talk about HPD establishing a cold case unit in order to solve Michaela’s case, but I have heard a lot of talk over the years. Always there is “going to be” time, money, resources to solve this case that is 15, 20, 25, 28 years old. I am convinced that this case is only going to be solved if someone with direct knowledge comes to us with that information. And if there is someone out there who knows where Michaela is right now, please tell me as well as the police. I don’t mean if you saw someone you think looks like Michaela. I mean if you know this person is Michaela Garecht, who was kidnapped at the age of nine. If you know Michaela is not alive, and know where she is buried, please tell us. There was someone who called HPD years ago and gave some information, but the investigators needed it to be narrowed down a bit, and if you are that person, please call back. 1-800-222-3999, and the detective is Robert Purnell. Michaela, I just want you to know that I plan on being here for awhile yet, but if you are out there and alive it would be a good time to let me know. I had a dream once that I was dying, and I was saying goodbye to my husband and my kids. I told them I’d seem them in 30 years, but that I was going to see Michaela now. In the dream I started to get sucked up into the corner of the room, and that was dying. I knew I would come down on the other side of the wall. But suddenly I thought, what if Michaela is not there? And I woke up. Confused, I’m juse confused. I have my head stuck deeply in the sand. I know I need to pull it out. Life is not over, and I need to keep moving, doing something, traveling down the road even if I have to swim sometimes. Your prayers are appreciated. And Michaela, I love you, baby girl. Sometimes I don’t write. Sometimes I just don’t have anything to say that I think anybody wants to hear. But you are always in my heart. I always love you. What if God's purposes are bigger than your answered prayers? Sharon, I haven't been around in so long that you wouldn't even remember that I used to post comment. I just came to say that I have been praying for you. My heart has broken over and over again when I think about you and your daughter. God loves you, is what I want to say. You have had such a hard burden to carry, and I know that you have had times where you made peace with God and times, where the pain has driven you away from Him. I remember the powerful blog you wrote when you talked about how you felt like God wasn't there, then you remembered things like Michaela's poem and your own inner sense of not wanting her to go that day. You reached me deeply with that post. I came back a few years later, when you were apart from God again, and I didn't comment, just prayed and I will keep praying, because you have gone through things, which make it so hard to hold onto the concept of a loving God. I pray that He will reveal Himself to you anew, and that He will show Himself close to you, even through this walk with cancer.I believe in Jesus and in the “other side of life” where we come to a place with no more pain or tears, a place of peace.Billy Graham's daughteer, Ann Graham Lotz wrote a book about heaven and I read it after my mother died and she got to the verse where Jesus tells that He went before us to prepare a place for us and that if He was not telling the literal truth about a literal place, He would tell us.Ivan Panin in the 1800's looked at the mathematical structure in the New Testament and challenged the newspaper The Sun, because he believed strongly that the math proved God wrote the Bible. Chuck Missler in teaching on the genealogy of the Gospel of Matthew, said something like, “It would have taken a million super computers working over a million years to have written the genealogy of Matthew and kept the mathematical structure.” One letter removed from that genealogy would have messed up the structure. God is real. The Bible is real. Jesus is real. Heaven is a real place. God loves you with an everlasting love. He loves you and Michaela so much and didn't want all of this pain to happen. Dearest Sharon Some one out there has the answer as to what happened to Michaela. If that someone is reading this blog please come forward if you want to remain anonymous go ahead either tell Sharon or the detective the name of the responsible or the location of Michaela. It's been 28 years don't be afraid you might think it's to Little of information but that could be the key to solving this mystery. Dear Sharon,I have been reading your blog for a long time, but have never commented. I am now, to tell you you are in my prayers. Simply in my prayers as I wish I could help more, but cannot. Thinking of you in Canada.